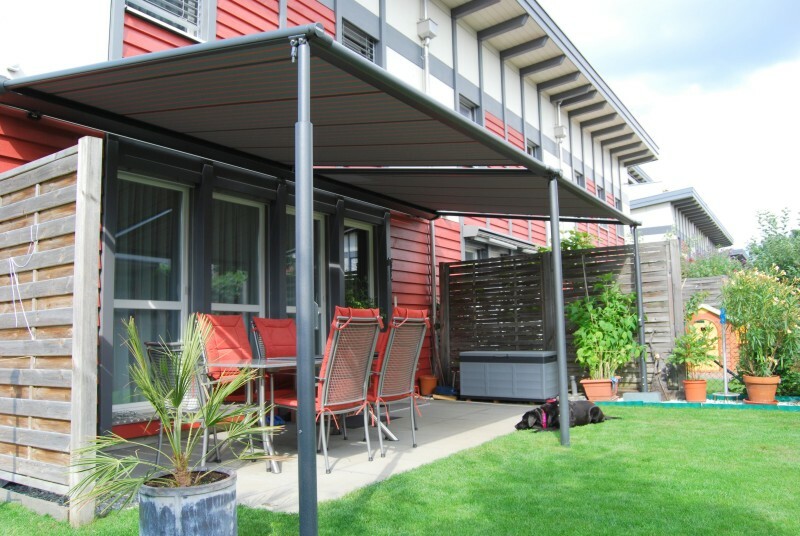 When you need to create a shaded or sheltered outdoor area for your home or business then please be aware of the overall limitations of various products and what you will actually achieve long term by installing them. 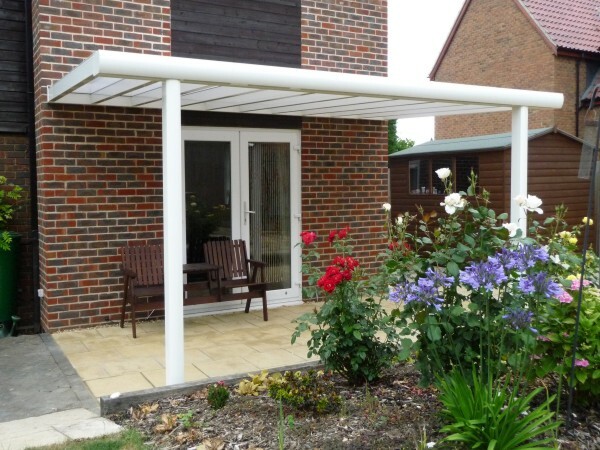 We have set out below the basic features for the 6 different levels of systems capable of creating quality outdoor cover and extending your time and use of your garden, patio, terrace or beer garden throughout the seasons. Which Stage Do You Need Be Looking At? Models ranging from 1.9m square right up to 8m x 6m with either side arm or centre pole support. 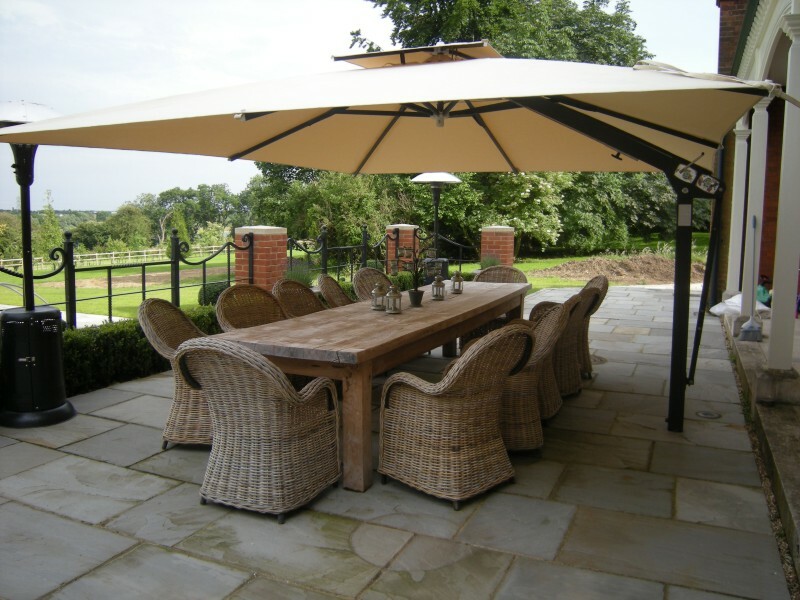 Nearly all umbrellas are only really suitable for sun protection, with the one exception of the Vortex which has been designed to withstand a gale force 8 storm (tested to 100km/h) and is designed as a commercial product primarily. 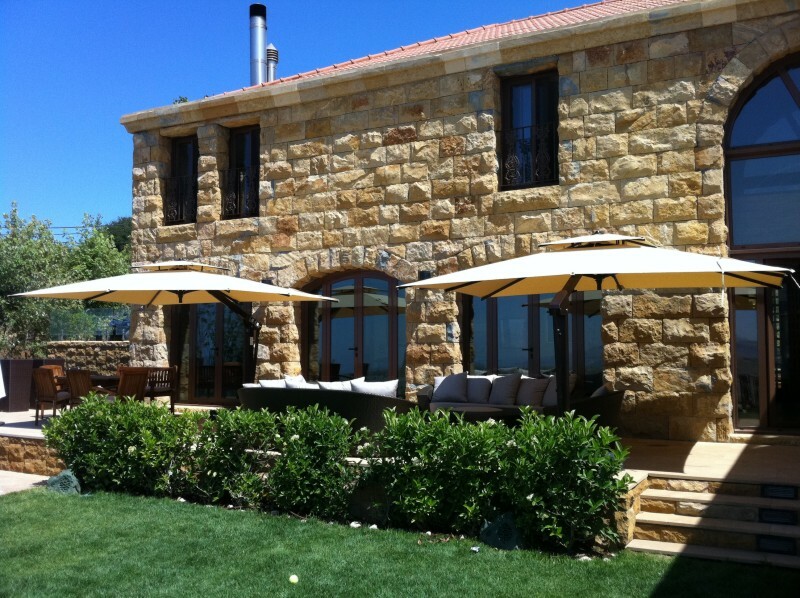 When it is wet an umbrella will give minimal rain protection and even less from breezes and wind. 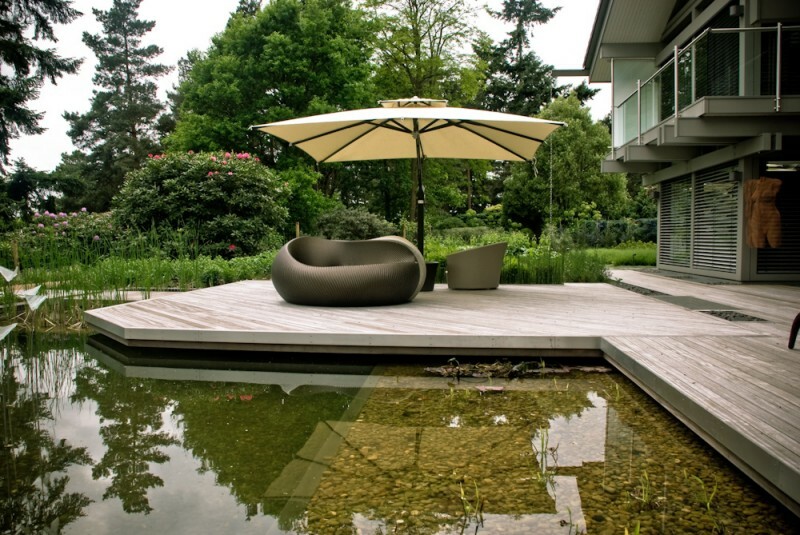 Umbrellas generally do not have a wind class rating but installing them with the appropriate ground support will increase their stability. 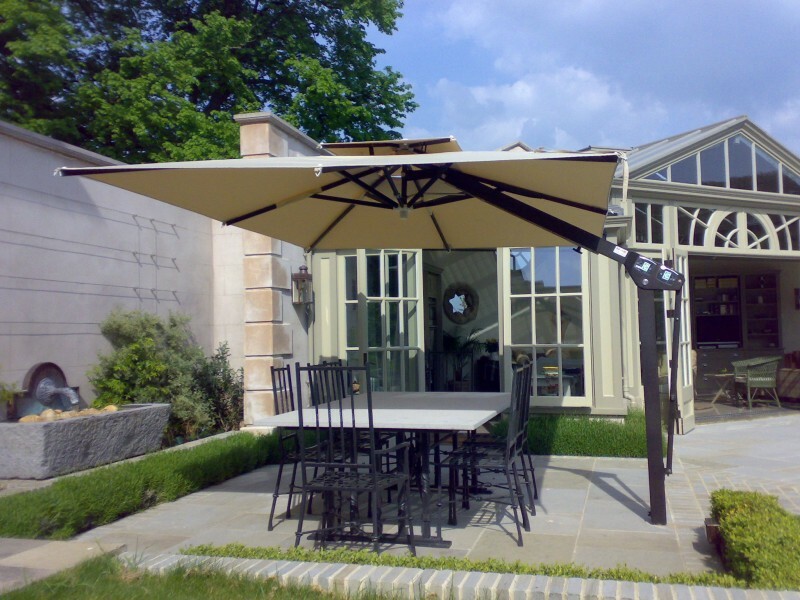 A very large umbrella can have a 1m squared base frame with 500kgs of weight on it. 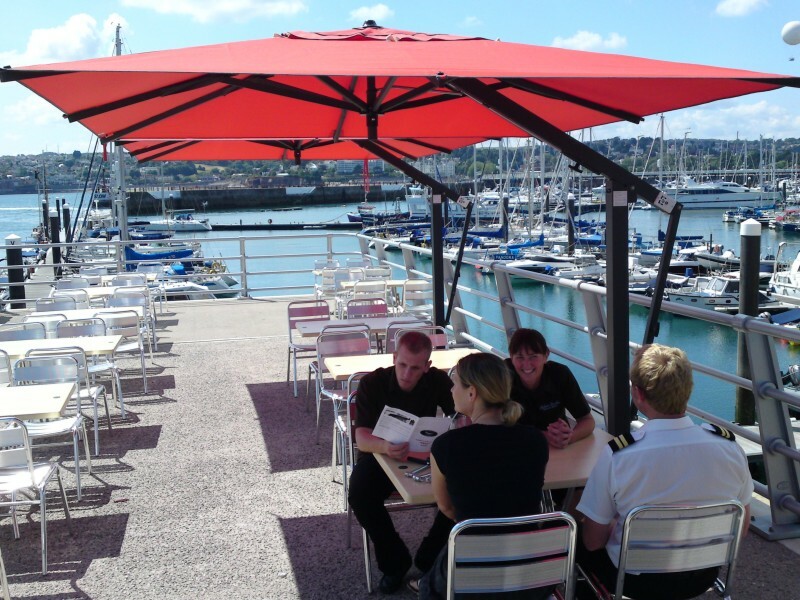 All our umbrellas are built for commercial use as well as domestic and are of the highest quality components. For more information, view our Umbrellas page. 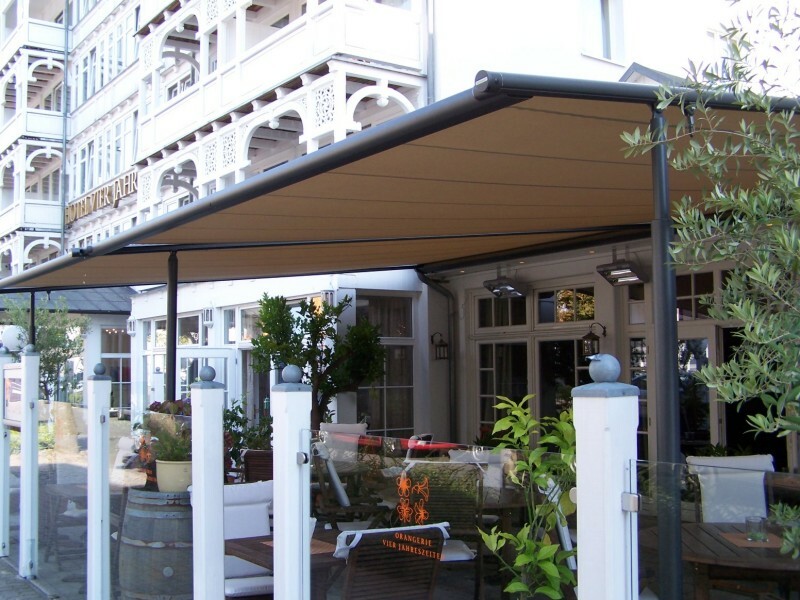 Sun protection is the primary use for most retractable awnings but many models have been designed to take rainfall and higher levels of wind. 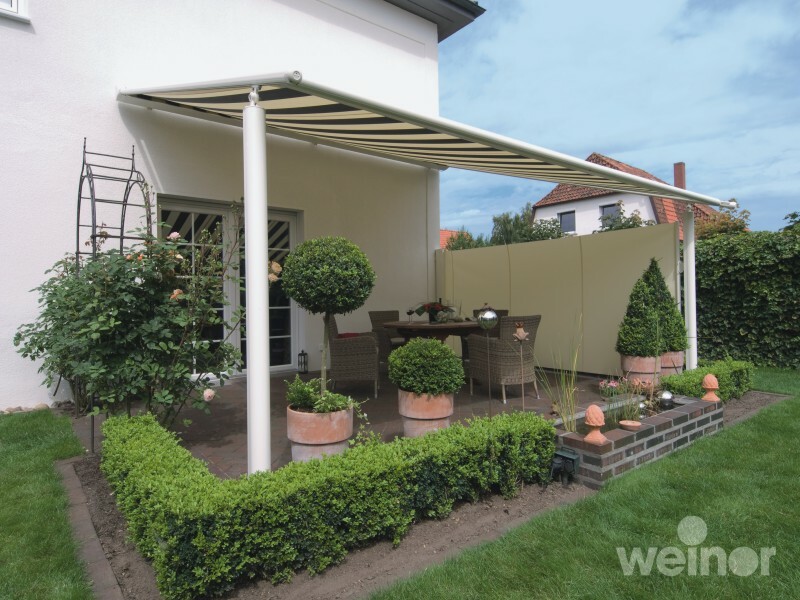 Basically the larger the awning is the more prone it is to be a problem in wind, therefore it would benefit from an effective wind sensor installed with it. 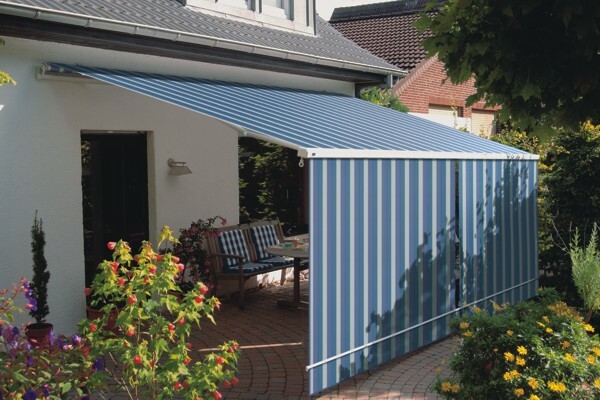 For effective use in rainfall, an awning should be set at a minimum pitch of 14 degrees to allow the rainwater to flow off the awning cover effectively and avoiding ‘pooling’ of the water in the cover during a cloud burst. 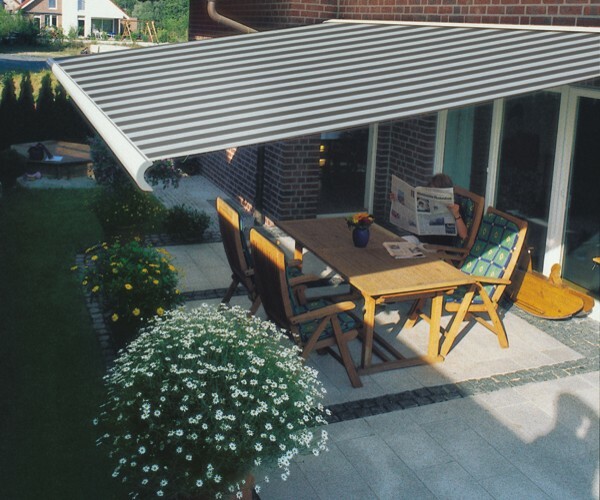 A retractable awning will provide good rain protection over a patio table during a light shower – the standard awning fabric is highly water repellent when the awning is pitched correctly. 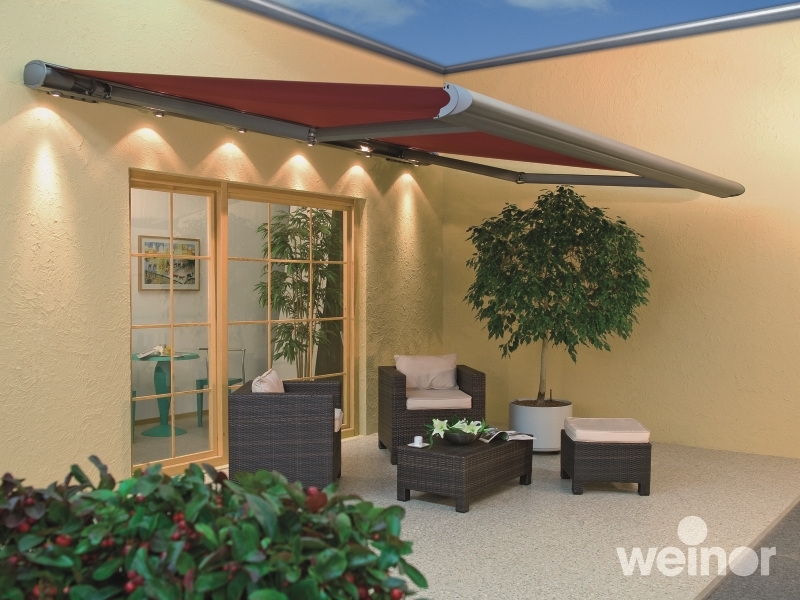 There are many ingenious wall brackets to enable the installation of an awning where at first glance it would not seem possible. 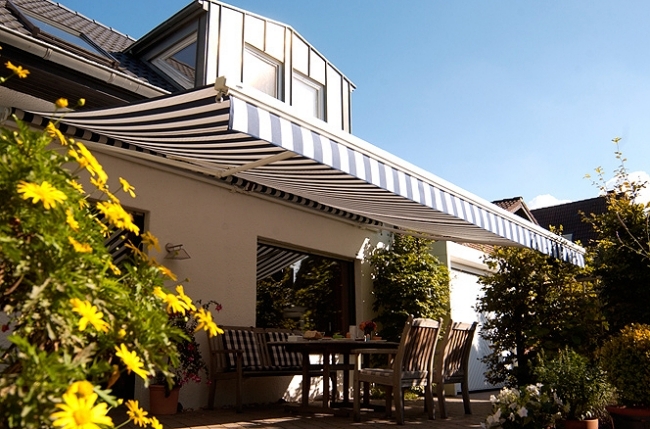 Again, all the awnings Samson provide are only selected as the highest quality products from Northern European manufacturers, where development has taken place in a climate similar to our own diverse UK climate. 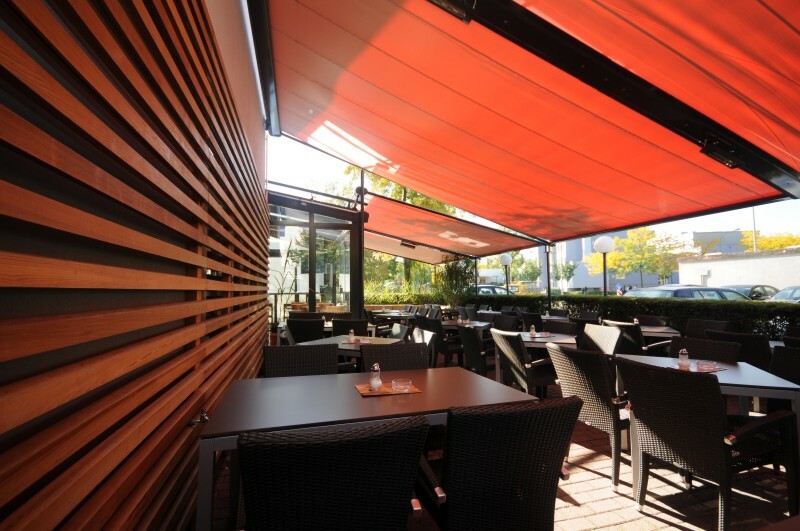 For more information, view our Retractable Patio Awnings page. 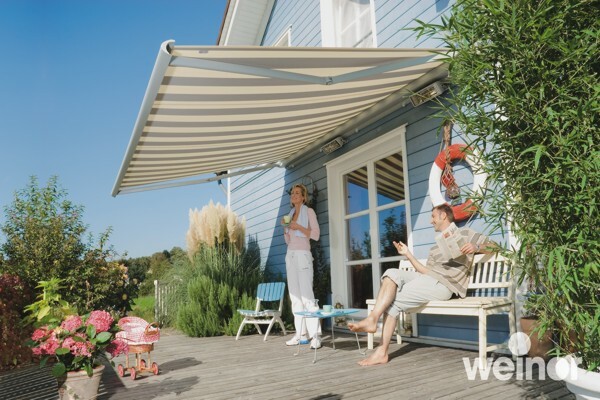 These offer the benefits of a normal awning but are available in much larger projections (up to 7 metres). For wind and rain use, these structures can have a slightly shallower degree of pitch and still ensure water dispersal. 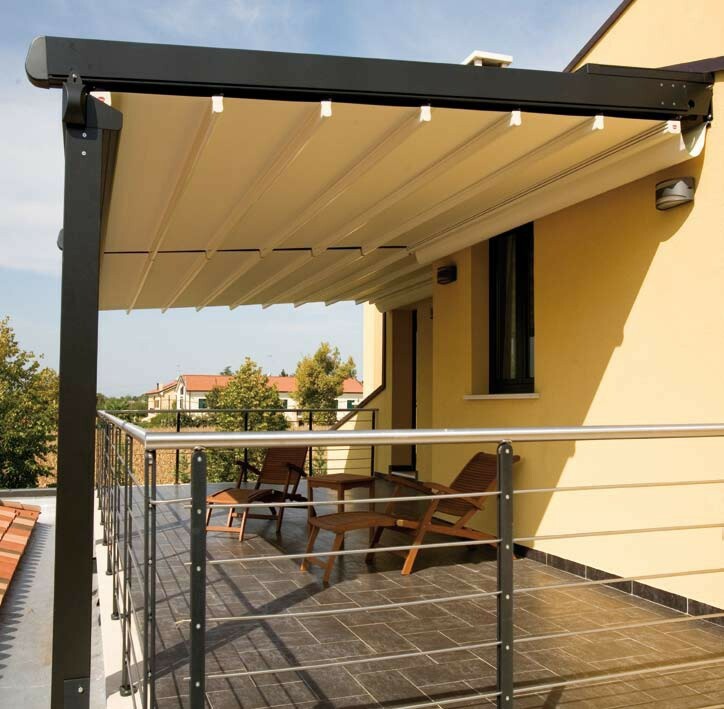 The Markilux Pergola 210 ‘zip’ system which has no gap whatsoever between the fabric cover and the supporting side tracks thus preventing rainwater from dripping down. 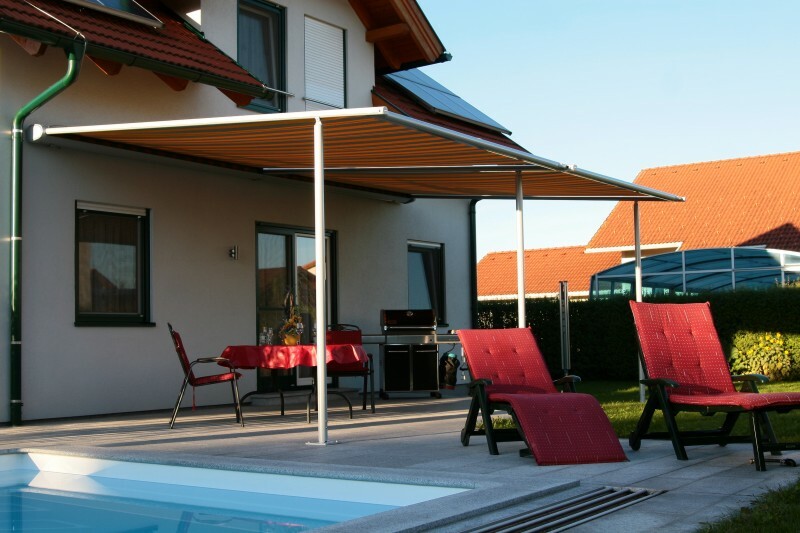 A fabric cover with aluminium framework and minimal support posts. 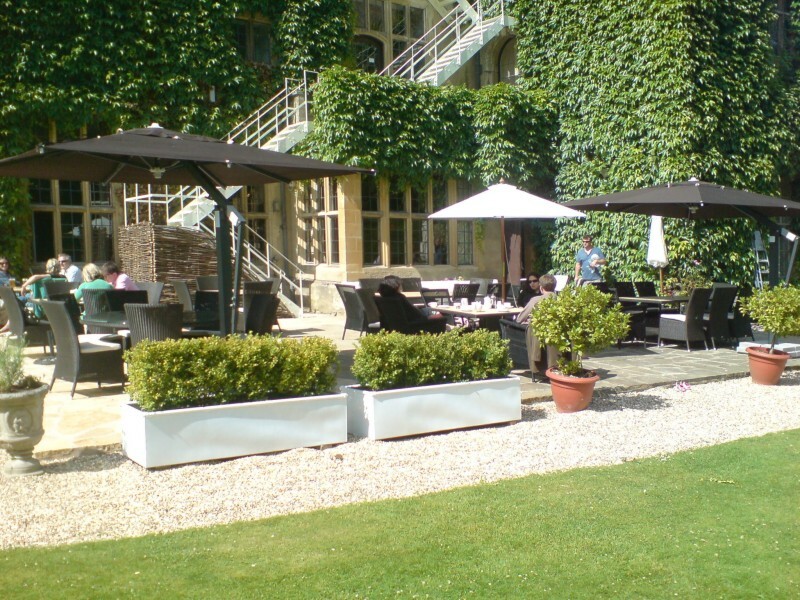 Ideal for a large terrace or patio, also for commercial premises. 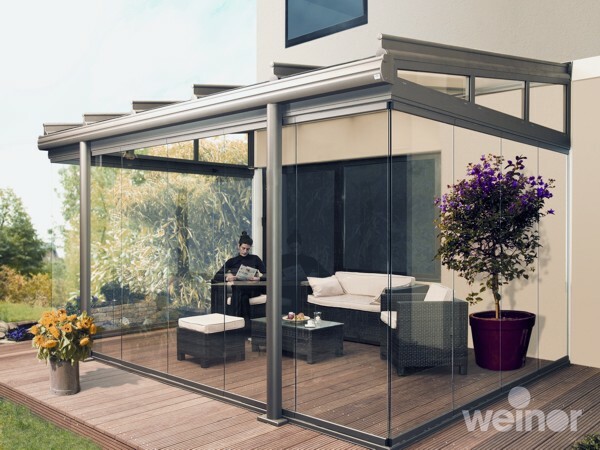 A higher degree of rain protection can be achieved with an attractive high grade pvc cover as in the Med Fly. All year round use with great rain protection and some snow loading capability. 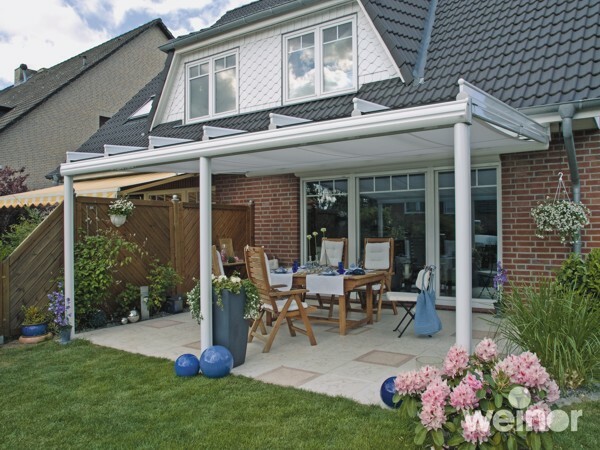 There are fabric roof options where the roof fabric is thicker with a tough vinyl coating and aluminium struts across the width to create a strong roof when closed. 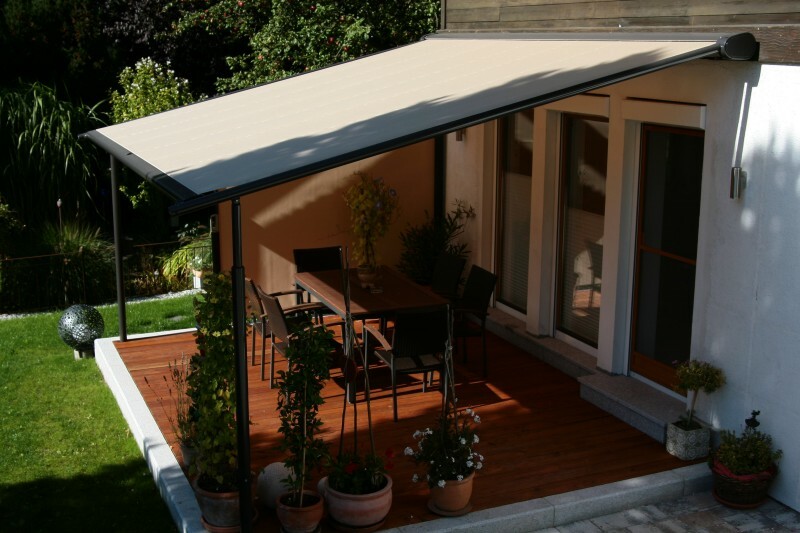 A fixed structure retractable roof cover can be made to very large sizes and constructed back to back with a gable roof. 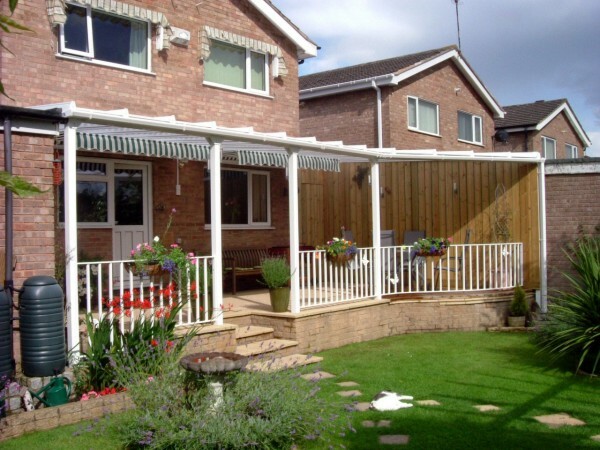 Built in rain guttering and water drainage, side screens, blinds and sliding glass door systems can all be fitted to create a perfect ‘room outdoors’. 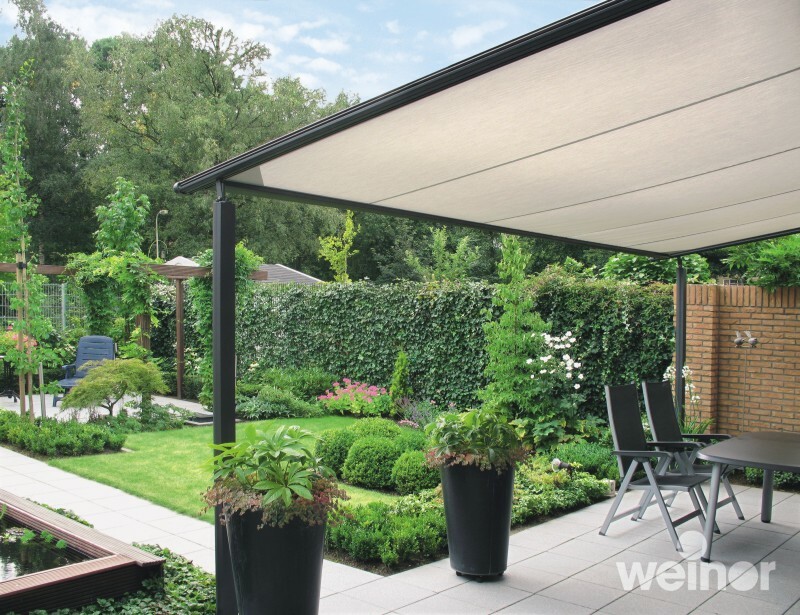 For more information, visit our Gibus Med or Weinor Pergotex page. 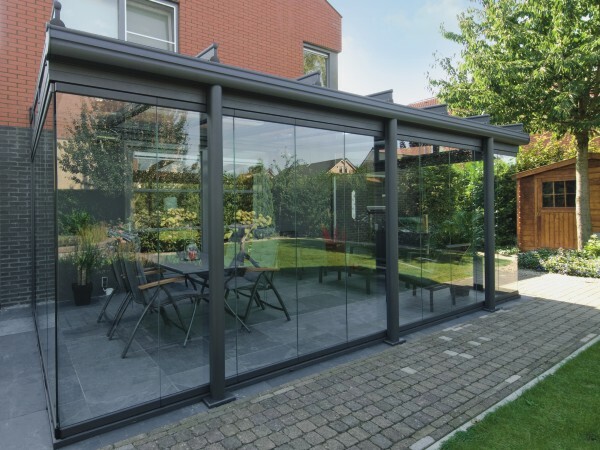 Often referred to as glass verandas or glass roofs these systems are widely accepted as a permanent and welcome addition to any home, modern or period in style. 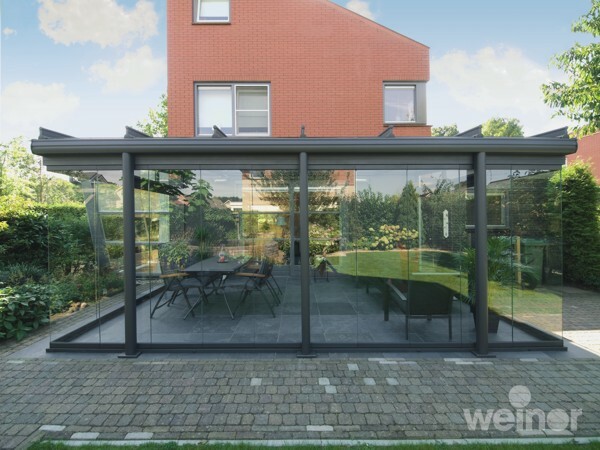 The unique beauty of these single glazed structures is that the frameless glass doors used can be stacked back to the minimum possible size, allowing the space, which is enclosed for inclement weather, to be completely opened out in fine weather. There is flexibility to leave one side closed if the wind is buffering from a particular direction. 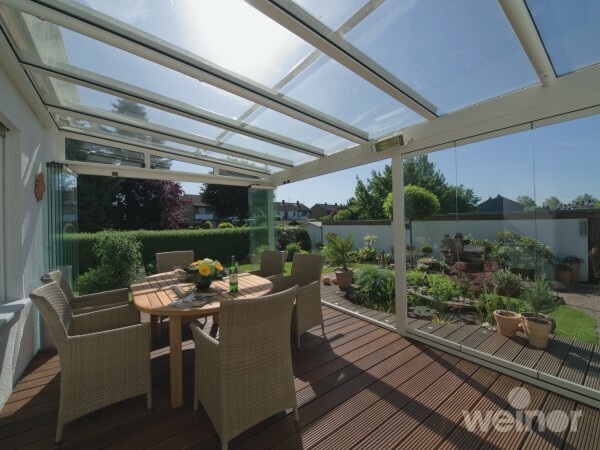 Unlike a traditional conservatory the glass room can be quickly turned into just a glass roof cover only and benefit from maximum air movement in the height of the summer heat. 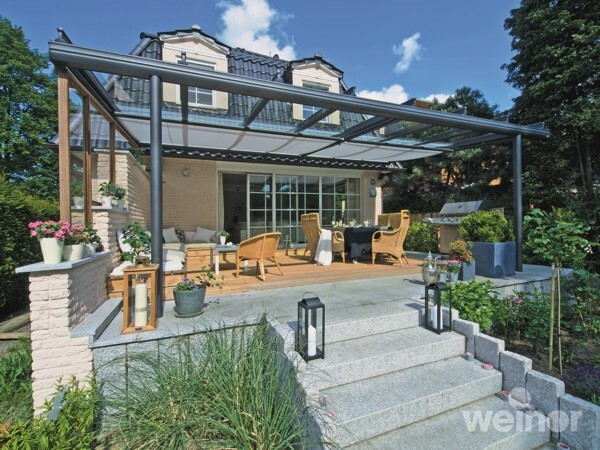 The outdoor room is a generic description for many options of enclosed stand alone or lean to structures with many options for infilling the sides. 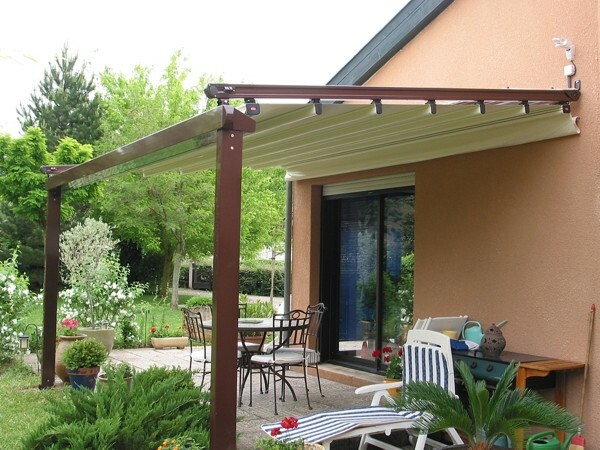 These stunning structures go straight onto your patio or deck eliminating the need for bothersome foundation work. 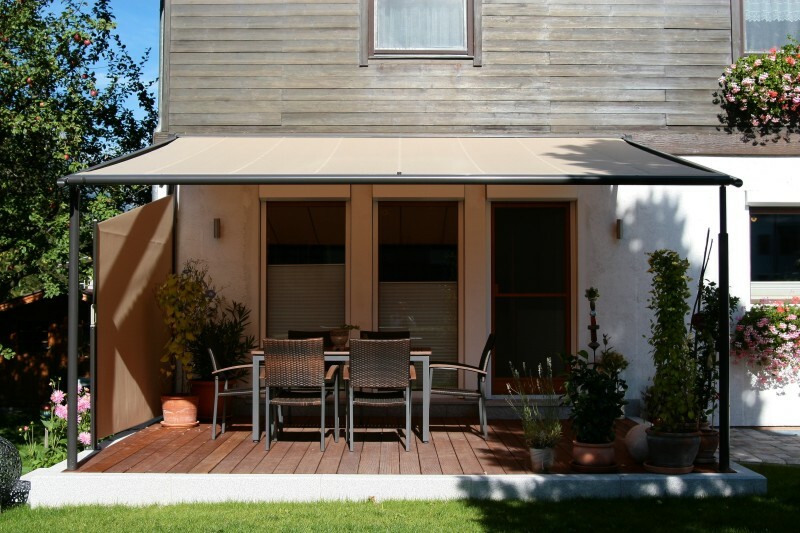 They can be beautifully enhanced with under glass or over glass purpose made retractable awnings creating sun shade and further ambience. 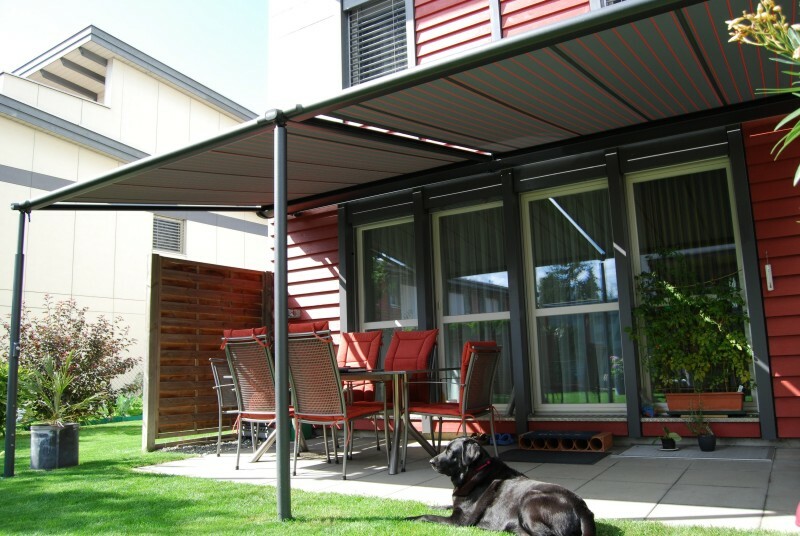 Retractable shades can also be added for front and side shading and privacy. 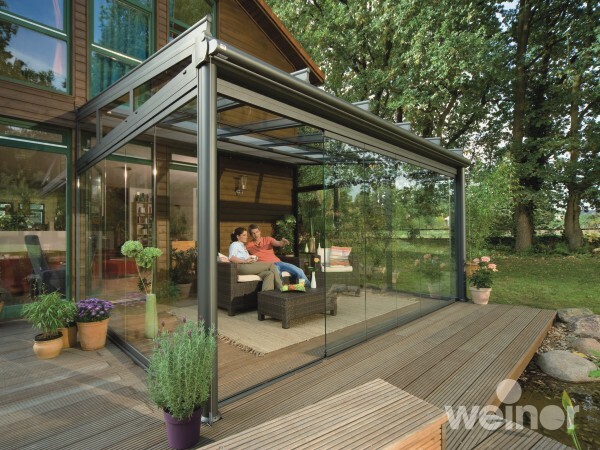 The Weinor Glasoase is uniquely the ultimate transformable outdoor space. 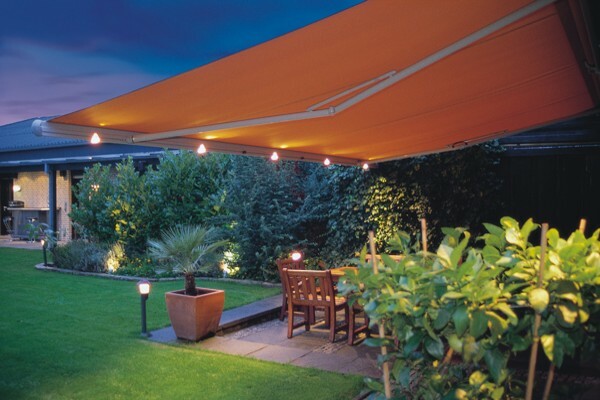 Your patio furniture will be enclosed during the winter months. 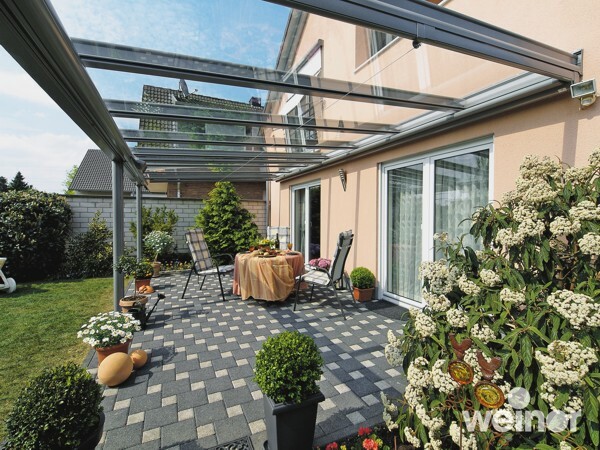 These structures have many size and configuration options to make best use of your available space. 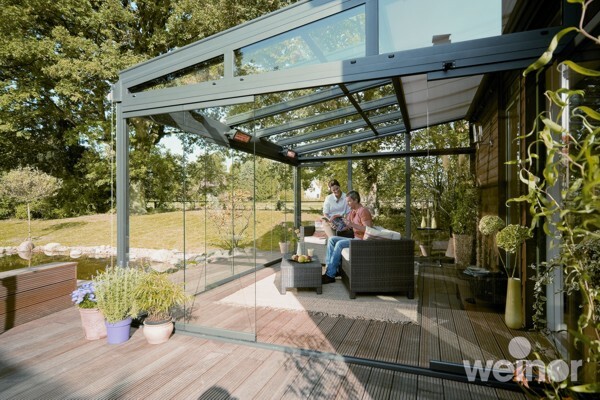 For more information, visit the Glass Rooms, Gibus & the Weinor Pergotex page.